Asian casino operator Melco Resorts and Entertainment Ltd announced on Thursday a salary increase for eligible non-management employees. The firm was the second Macau casino operator to announce publicly a pay rise this year. 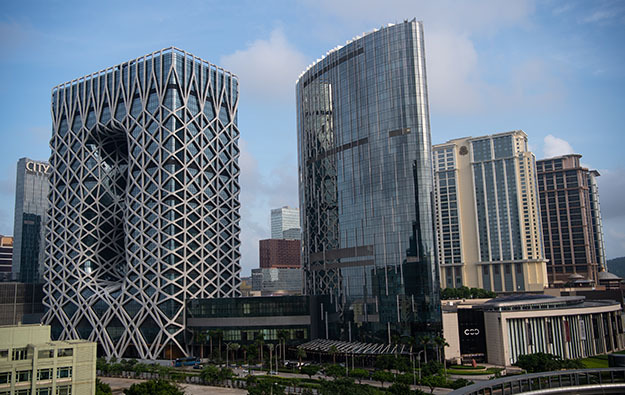 Melco Resorts said in a press release that it would increase salaries of eligible employees by a range between 2.5 percent and 7.5 percent, with effect from April 1. Eligible, full-time non-management employees earning a monthly “base salary (including tips)” over MOP13,000 (US$1616.8) will receive a pay increase of 2.5 percent, the company stated. Those that earn a monthly base salary (including tips) less than or equal to MOP13,000 will receive an increase of MOP600 per month. “We thank our colleagues for their continued dedication,” Melco Resorts’ chairman and chief executive Lawrence Ho Yau Lung said in a prepared statement included in Thursday’s announcement. “Together as a team, we strive to bring world-class, memorable entertainment, hospitality and dining experiences to our guests in Macau,” he added. Melco Resorts had announced on January 10 that it was awarding a “one-month discretionary bonus” for eligible non-management employees ahead of the Chinese New Year. The company’s Thursday announcement confirmed that this bonus payment had already been made, but it did not specify the number of benefited employees. Melco Resorts was the first of Macau’s six casino operators to publicly announce a bonus for staff this year. The city’s gaming operators traditionally announce the payment of bonus to staff – where mandated – in or around the Chinese New Year period. This year it falls on February 5. Some operators additionally announce a second round of discretionary bonuses; typically during summertime. Rival Macau casino operator Sands China Ltd announced on January 18 a pay rise for its employees, with effect on March 1. At the time, the firm also announced the payment of a discretionary bonus – equivalent to one month’s pay – to all of its eligible employees. The city’s other four casino operators – Wynn Macau Ltd, MGM China Holdings Ltd, SJM Holdings Ltd and Galaxy Entertainment Group Ltd – have also announced this month the payment of respective discretionary bonuses to their employees.